A hunt is under way for a woman who has absconded from jail. Donna Willis, 36, was serving a five-year sentence following her conviction at Newcastle Crown Court for grievous bodily harm. 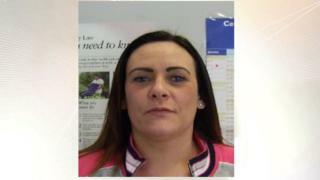 Northumbria Police said she fled from HMP Askham Grange, near York, on Wednesday. Originally from Tyne and Wear, Willis is described as white, 5ft 2ins (1.57m) tall and of a slim build with blonde and brown hair. She is believed to have travelled north and inquiries into her whereabouts are being focussed on the Northumbria Police area. Anyone with information about Willis’s whereabouts is urged not to approach her but to contact police.